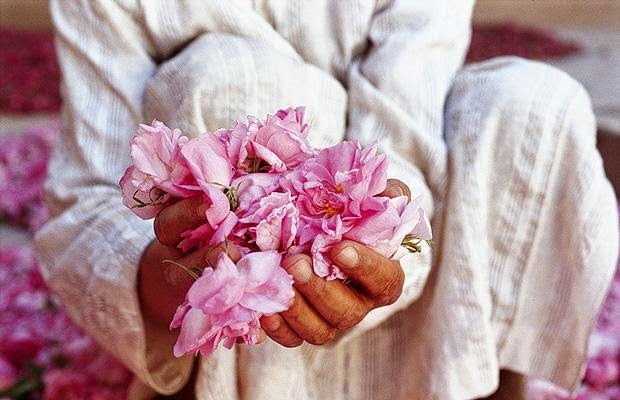 " Every year in the town of El-Kelaa M’Gouna, Moroccans celebrate the rose harvest with The Festival of Roses. The souqs are packed with rose-scented gifts that fill the air with their floral fragrances. Children hand out lei garlands, traditional Berber music plays through the streets and a Miss Rose is crowned for her beauty and talents... "
All season long, Tea Collection has been dressing little citizens near and far in clothing inspired by the beautiful country of Morocco, and this Saturday we'll be celebrating Morocco's Festival of Roses with a crafting and shopping event right here in our shop. The Desert Rose Swing Dress was a sell-out style at Fiddlesticks. Bring your little ones in and get them situated at our play table: we'll have fun rose-inspired crafts to keep them happily occupied. And for you, we'll have a basket of paper rose petals: pick one and open it up, and you'll be given either 10, 20, or 30% off your Tea purchase. (Applies to our recently marked-down Tea as well!) If you're extra lucky, you could even get $50 to spend on Tea, or a $500 Tea Shopping Spree! We hope you'll join us this Saturday, May 10, at 540 Hayes Street. The doors open and the fun starts at 10!